The Law Offices of Jeffrey S. Glassman was recognized recently by the esteemed Massachusetts Lawyers Weekly after having secured the largest injury settlement in the Commonwealth for a full year. A child injury lawsuit filed on behalf of the parents of a Boston baby who due to a medical mistake now suffers cerebral palsy, spastic quadriplegia and legal blindness, was settled for $9.02 million. This damage award was the highest in the state from July 2015 through July 2016. This settlement is significant. We know that 95 percent of all personal injury lawsuits in Massachusetts end in pre-trial settlements. That means the case never actually goes to trial. Some cases get dismissed by a court for lack of evidence. Others may be settled for less than they are worth by attorneys who more concerned with quantity rather than quality. Our respected legal team fights tirelessly each and every day for the rights and best interests of our injured clients. We take their suffering personally, and we strive to obtain the maximum in all cases. Although every case is different, our dedication and skill is revealed in the verdicts and settlements we secure every week. In this case, it was Traver Clinton Smith Jr. who represented the parents of this young boy, and who secured a settlement just three years after the injury occurred. A total of five defendants were named in this Boston medical malpractice lawsuit. Prior to this incident, the baby was perfectly healthy. The baby was taken by his parents to a hospital emergency room because he was inconsolably crying and indicating signs of respiratory distress. Defendant physician examined the child and noted one of the baby’s eardrums was slightly inflamed. The baby boy was diagnosed with an ear infection as well as dehydration. After being prescribed an eight-day course of antibiotics for the ear infection, he was discharged. However, later that same day, the parents returned to the hospital. The child was still absolutely inconsolable with his crying. At this point, the doctor decided it was necessary to perform the spinal tap. The goal, he explained, was to rule out the possibility of meningitis. This procedure typically calls for the use of a device called a pulse oximeter. The purpose of this machine, used through the duration of a spinal tap, is to ascertain when there may be a decline in the patient’s oxygen levels or pulse rate. However in this case, defendant nurse did not use the device. The boy struggled and was crying as the procedure began. But about halfway through, he stopped suddenly. He became silent. He no longer tried to struggle. As the needle was taken out, the physician realized the boy wasn’t breathing. As plaintiff asserted in the complaint, the doctor once again deviated from the accepted standard of care by not immediately initiating CPR. When other nurses and doctors arrived, it was only then that they initiated CPR. Eventually, the boy did begin breathing again, but the damage had been done. The child continued to be hospitalized for long periods of time. Today, he suffers from the aforementioned conditions, and requires around-the-clock intensive care. It is not believed he will ever walk, talk or feed himself. Although with proper resources and care, he could have a normal life expectancy, he will by no means have a normal life. At The Law Offices of Jeffrey S. Glassman, it was attorney Traver Clinton Smith Jr. who took on the case. 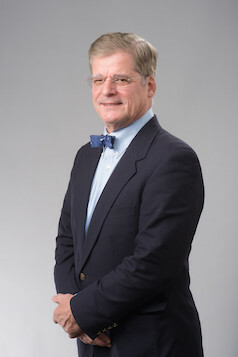 Smith had a long and successful career in Massachusetts law even before joining the Glassman team. Many of the cases he has successfully tried, mediated and settled involved catastrophic injuries, and most of those have resulted in damage awards that are in the millions of dollars. For example, one “dram shop” case against a liquor establishment resulted in a $14 million injury verdict. Smith has had ample success in medical malpractice cases in particular. These are cases that demand substantial preparation, experience and skilled oratory advocacy – and Smith delivers time after time. In this case, the complaint was filed less than two months after the injury occurred. The $9.02 million settlement Smith was able to negotiate came just three years after the injury. The second-highest damage award in Massachusetts during that time was nearly $60,000 less than the one Smith secured. Once again, The Law Offices of Jeffrey S. Glassman demonstrates why our firm is among the most trusted in Boston.